9. NEITHER THE COMPANY AMY MCCAE or CREATIVE WELLNESS NOR ANY OTHER PARTY INVOLVED IN CREATING, PRODUCING, OR MAINTAINING THE SITE AND/OR ANY CONTENT ON THE SITE SHALL BE LIABLE UNDER ANY CIRCUMSTANCES FOR ANY DIRECT, INCIDENTAL, CONSEQUENTIAL, INDIRECT, OR PUNITIVE DAMAGES ARISING OUT OF YOUR ACCESS TO OR USE OF THE SITE. WITHOUT LIMITING THE FOREGOING, ALL CONTENT ON THE SITE IS PROVIDED “AS IS” WITHOUT WARRANTY OF ANY KIND, EITHER EXPRESSED OR IMPLIED, INCLUDING, BUT NOT LIMITED TO, THE IMPLIED WARRANTIES OF MERCHANTABILITY OR FITNESS FOR A PARTICULAR PURPOSE. THE COMPANY DOES NOT WARRANT OR MAKE ANY REPRESENTATIONS REGARDING THE USE OF THE MATERIALS IN THE SITE, THE RESULTS OF THE USE OF SUCH MATERIALS, THE SUITABILITY OF SUCH MATERIALS FOR ANY USER’S NEEDS OR THE LIKELIHOOD THAT THEIR USE WILL MEET ANY USER’S EXPECTATIONS, OR THEIR CORRECTNESS, ACCURACY, RELIABILITY, OR CORRECTION. THE COMPANY LIKEWISE DOES NOT WARRANT OR MAKE ANY REPRESENTATIONS OR GUARANTEES THAT YOU WILL EARN ANY MONEY USING THE SITE OR THE COMPANY’S TECHNOLOGY OR SERVICES. YOU ACCEPT ALL RESPONSIBILITY FOR EVALUATING YOUR OWN EARNING POTENTIAL AS WELL AS EXECUTING YOUR OWN BUSINESS AND SERVICES. YOUR EARNING POTENTIAL IS ENTIRELY DEPENDENT ON YOUR OWN PRODUCTS, IDEAS, TECHNIQUES; YOUR EXECUTION OF YOUR BUSINESS PLAN; THE TIME YOU DEVOTE TO THE PROGRAM, IDEAS AND TECHNIQUES OFFERED AND UTILIZED; AS WELL AS YOUR FINANCES, YOUR KNOWLEDGE AND YOUR SKILL. SINCE THESE FACTORS DIFFER AMONG ALL INDIVIDUALS, THE COMPANY CANNOT AND DOES NOT WARRANT OR MAKE ANY REPRESENTATIONS OR GUARANTEES REGARDING YOUR SUCCESS OR INCOME LEVEL. THE COMPANY DOES NOT WARRANT THAT USE OF THE MATERIALS WILL BE UNINTERRUPTED OR ERROR FREE, THAT DEFECTS WILL BE CORRECTED, OR THAT THIS SITE, THE CONTENT, AND/OR THE MATERIALS AVAILABLE ON THIS SITE ARE FREE FROM BUGS OR VIRUSES OR OTHER HARMFUL COMPONENTS. YOU ASSUME ALL RESPONSIBILITY FOR THE COST OF ALL NECESSARY REPAIRS OR CORRECTIONS. THE COMPANY SHALL NOT BE RESPONSIBLE FOR ANY PERFORMANCE OR SERVICE PROBLEMS CAUSED BY ANY THIRD PARTY WEBSITE OR THIRD PARTY SERVICE PROVIDER. ANY SUCH PROBLEM SHALL BE GOVERNED SOLELY BY THE AGREEMENT BETWEEN YOU AND THAT PROVIDER. Please note that the applicable jurisdiction may not allow the exclusion of implied warranties. Some of the above exclusions may thus not apply to you. Please read these Terms and Conditions (“Terms”, “Terms and Conditions”) carefully before using www.amymccae.com website (the “Service”) operated by Amy McCae/Creative Wellness (“us”, “we”, or “our”). At the end of each Billing Cycle, your Subscription will automatically renew under the exact same conditions unless you cancel it or Mindfulness Exercises cancels it. You may cancel your Subscription renewal either through your online account management page or by contacting Mindfulness Exercises customer support team. A valid payment method, including credit card. Stripe, or PayPal, is required to process the payment for your Subscription. You shall provide Amy McCae/Creative Wellness with accurate and complete billing information including full name, address, state, zip code, telephone number, and a valid payment method information. 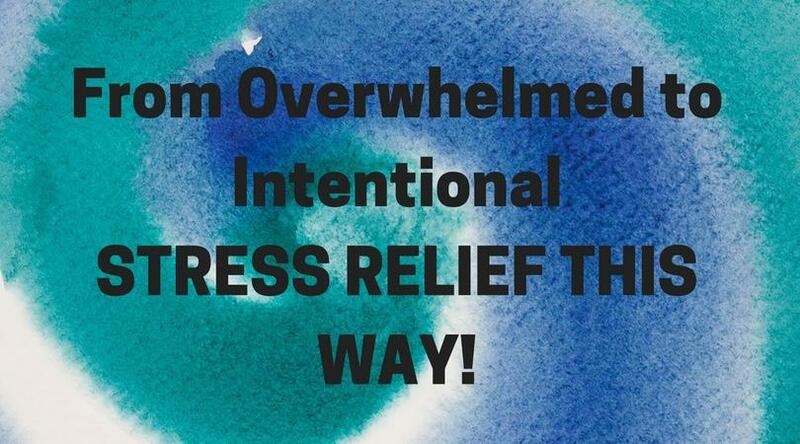 By submitting such payment information, you automatically authorize Amy McCae/Creative Wellness to charge all Subscription fees incurred through your account to any such payment instruments. Should automatic billing fail to occur for any reason, Amy McCae/Creative Wellness will issue an electronic invoice indicating that you must proceed manually, within a certain deadline date, with the full payment corresponding to the billing period as indicated on the invoice. Amy McCae/Creative Wellness, in its sole discretion and at any time, may modify the Subscription fees for the Subscriptions. Any Subscription fee change will become effective at the end of the then-current Billing Cycle. Amy McCae/Creative Wellness will provide you with a reasonable prior notice of any change in Subscription fees to give you an opportunity to terminate your Subscription before such change becomes effective. Except where noted and required by law, paid products, services, and subscription fees are non-refundable. Refunds are not given for people who change their minds about their purchases on any program or service. Mindfulness Exercises has the right but not the obligation to monitor and edit all Content provided by users. In addition, Content found on or through this Service are the property of Amy McCae/Creative Wellness or used with permission. You may not distribute, modify, transmit, reuse, download, repost, copy, or use said Content, whether in whole or in part, for commercial purposes or for personal gain, without express advance written permission from us. The Service and its original content (excluding Content provided by users), features and functionality are and will remain the exclusive property of Mindfulness Exercises and its licensors. The Service is protected by copyright, trademark, and other laws of both the United States and foreign countries. Our trademarks and trade dress may not be used in connection with any product or service without the prior written consent of Amy McCae/Creative Wellness. 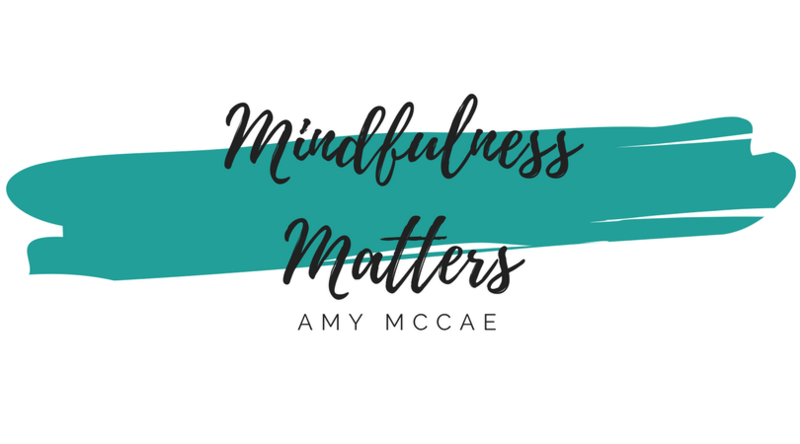 Amy McCae/Creative Wellness has no control over, and assumes no responsibility for the content, privacy policies, or practices of any third party web sites or services. We do not warrant the offerings of any of these entities/individuals or their websites. You acknowledge and agree that Amy McCae or Creative Wellness shall not be responsible or liable, directly or indirectly, for any damage or loss caused or alleged to be caused by or in connection with use of or reliance on any such content, goods or services available on or through any such third party web sites or services. You agree to defend, indemnify and hold harmless Amy McCae/Creative Wellness and its licensee and licensors, and their employees, contractors, agents, officers and directors, from and against any and all claims, damages, obligations, losses, liabilities, costs or debt, and expenses (including but not limited to attorney’s fees), resulting from or arising out of a) your use and access of the Service, by you or any person using your account and password; b) a breach of these Terms, or c) Content posted on the Service. In no event shall Amy McCae/Creative Wellness, nor its directors, employees, partners, agents, suppliers, or affiliates, be liable for any indirect, incidental, special, consequential or punitive damages, including without limitation, loss of profits, data, use, goodwill, or other intangible losses, resulting from (i) your access to or use of or inability to access or use the Service; (ii) any conduct or content of any third party on the Service; (iii) any content obtained from the Service; and (iv) unauthorized access, use or alteration of your transmissions or content, whether based on warranty, contract, tort (including negligence) or any other legal theory, whether or not we have been informed of the possibility of such damage, and even if a remedy set forth herein is found to have failed of its essential purpose. Amy McCae/Creative Wellness its subsidiaries, affiliates, and its licensors do not warrant that a) the Service will function uninterrupted, secure or available at any particular time or location; b) any errors or defects will be corrected; c) the Service is free of viruses or other harmful components; or d) the results of using the Service will meet your requirements.